As a Franco-Manitobain, a beer connoisseur, a lover of poutine and a Franglophone, I've always joked that a Manitoban brewery should make a French inspired beer. I honestly never thought anything would come from it. Low and behold, my favourite prairie micro Half Pints is releasing a limited time seasonal called « Saison de la ceinture fléchée » (Translates loosely as Season of the assomption sash), well actually the word saison is a play on words as it not only refers to season but also to the style of beer that this is, a nice saison ale. If you have ever had Unibroue's Blonde de Chambly, you know what a bonne saison tastes like. 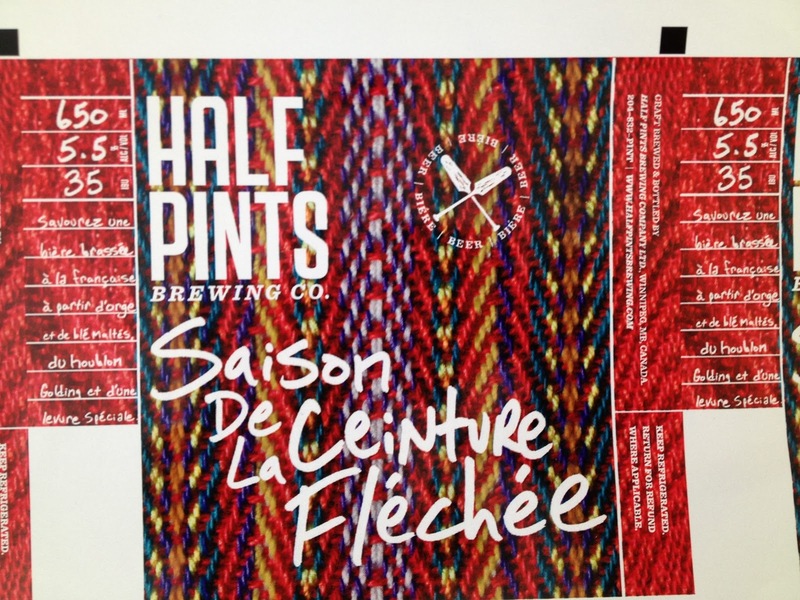 The saison is a hommage to les Francophones au Manitoba, les métis and Le festival du voyageur. Seeing as the Lieutenant Governor's Winter Festival is taking place in Brandon, MB this weekend (February 2nd to 4th), this would have been a great beer to see at le pavilion Franco-Canadien - however, they will be serving Unibroue beers instead. 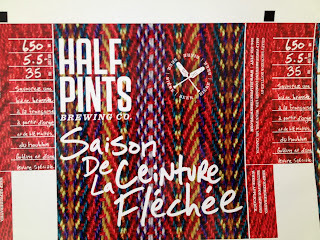 La saison de la ceinture fléchée is going to be released by Half Pints on February 11, available at the brewery and at some MLCC stores across the province. Edit: I got to try this beer, I'll be doing a review in near future as soon as I get a big bottle to myself (better really late, than never, I guess). If you are familiar with Unibroue's Blonde de Chambly, it's similar to that beer quite a bit. However, I found saison de la ceinture fléchée just had more of a wow zing factor compared to Chambly. It had a sweet aroma, almost like pear or peach, and of course, as I said - tasted like Blonde de Chambly, even with the yeast, but with more zing. Very stellar beer. I wish they brewed a bigger batch but with the re-introduction of the 650mL bottles, their beers have become more of a treasure for prairie beer snobs. FOR THE REVIEW, HERE YOU GO!